Love of God is not something that can be taught. We did not learn from someone else how to rejoice in light or want to live, or to love our parents or guardians. It is the same-perhaps even more so—with our love for God: it does not come by another’s teaching. As soon as the living creature (that is, man) comes to be, a power of reason is implanted in us like a seed, containing within it the ability and the need to love. When the school of God’s law admits this power of reason, it cultivates it diligently, skillfully nurtures it, and with God’s help brings it to perfection. For this reason, as by God’s gift, I find you with the zeal necessary to attain this end, and you on your part help me with your prayers. I will try to fan into flame the spark of divine love that is hidden within you, as far as I am able through the power of the Holy Spirit. First, let me say that we have already received from God the ability to fulfill all his commands. We have then no reason to resent them, as if something beyond our capacity were being asked of us. We have no reason either to be angry, as if we had to pay back more than we had received. When we use this ability in a right and fitting way, we lead a life of virtue and holiness. But if we misuse it, we fall into sin. This is the definition of sin: the misuse of powers given us by God for doing good, a use contrary to God’s commands. On the other hand, the virtue that God asks of us is the use of the same powers based on a good conscience in accordance with God’s command. Since this is so, we can say the same about love. Since we received a command to love God, we possess from the first moment of our existence an innate power and ability to love. The proof of this is not to be sought outside ourselves, but each one can learn this from himself and in himself. It is natural for us to want things that are good and pleasing to the eye, even though at first different things seem beautiful and good to different people. In the same way, we love what is related to us or near to us, though we have not been taught to do so, and we spontaneously feel well disposed to our benefactors. What, I ask, is more wonderful than the beauty of God? What thought is more pleasing and wonderful than God’s majesty? What desire is as urgent and overpowering as the desire implanted by God in a soul that is completely purified of sin and cries out in its love: I am wounded by love? The radiance of divine beauty is altogether beyond the power of words to describe. 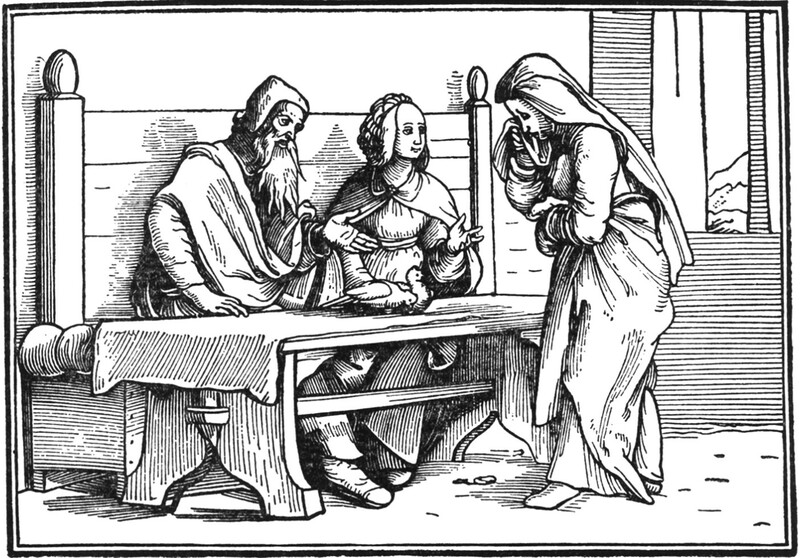 In today’s first reading 1 Samuel 1:9–20 we read about how distraught Hannah was on being barren. And how she was transformed through her deep heartfelt prayer to God. ( 1 Sam 1:13 Hannah was speaking in her heart; only her lips moved, and her voice was not heard) When she left the doorpost of the temple she was no longer sad as she had lifted her burdens up to the Lord. She trusted in Him to answer Her prayer and He did. God answers all our prayers even if the answer is sometimes no. When we fully place our trust in Him, His grace will come upon us and we will experience His peace and love. Prayer leads us closer to God and to the sacraments whereby we experience Him not emotionally or vicariously but by His real presence. Praise Be To God! Alleluia!